The Palo Verde Nuclear Generating Station is the nation’s largest power producer, and if the Clean Energy for a Healthy Arizona initiative appears on the ballot in November, voters will decide the plant’s future. The rooftop panels and churning turbines of booming solar and wind energy are helping make U.S. nuclear power plants, with all the safety fears and rising costs they bring, obsolete, some experts say. So much so that Californiaai??i? ?s largest utility and environmental groups struck a deal on June 21 to shutter the last facility in the state. 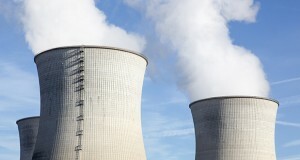 For Arizona politicians, the easy part of plunging back into the nuclear-energy business is well under way - the talking part. Now come the details, which include such hurdles as finding enough water, winning federal permits and - what else? - coming up with the billions of dollars needed to pay for construction. Gov. Jan Brewer has issued an executive order that aims to continue Arizona's participation in a multi-state agreement to reduce greenhouse gas and carbon emissions. As the energy debate heats up in the nation's capital, policymakers in Arizona have begun asking questions about the implications of cap-and-trade legislation and other climate initiatives for the state. For the second time in a month, legislators held a hearing on energy policy, specifically on what the state's energy future would look like. At least two more hearings are scheduled.